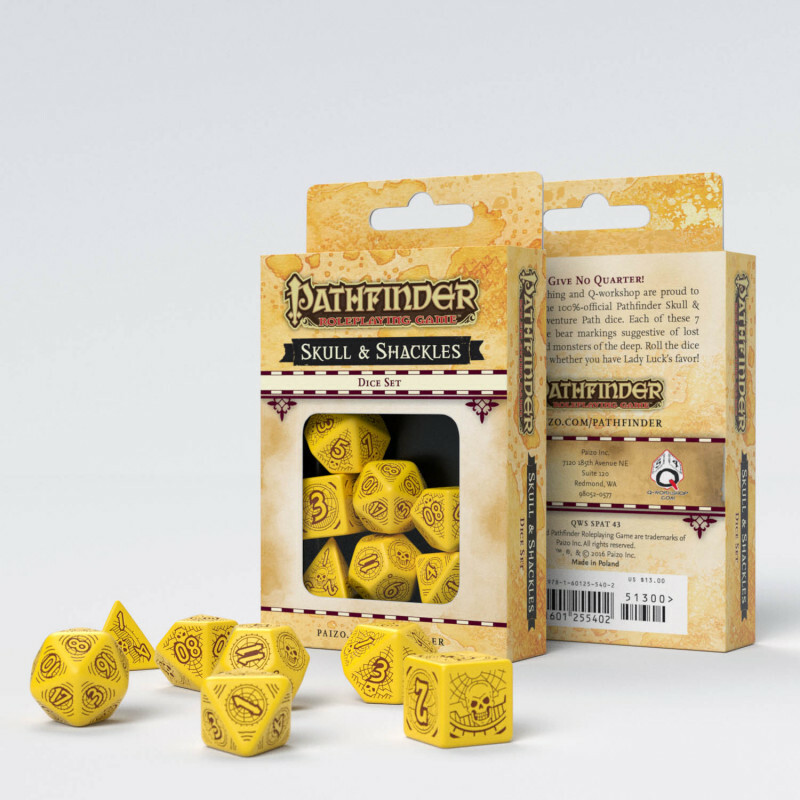 Q-workshop and Paizo Publishing are proud to bring you the 100%-official Pathfinder: Skull & Shackles dice. These masterfully crafted dice feature brown engravings on yellow polyhedrons. Which one of us did not want to become a pirate, drink rum, jump on the shroud, drown governor’s galleons and sing: Yo ho, yo ho, and pirate's life for me! 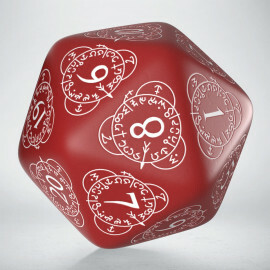 In your role-playing games, you can do it all your life - this is the magic of RPG. Q WORKSHOP and Paizo Inc. are proud to bring you the 100%-official Pathfinder: Skull & Shackles dice. This is the first completely pirate campaign and to say about it "that it was written with panache" set's too little. We designed yellow dice for Skull & Shackles, full of brown engraved pirate skulls and ornaments straight from the treasures maps. Using this set, you will surely find something invaluable hidden in the midst of sea adventures, such as the great fun and taste of your lost dreams of rocking and boarding ships full of gold. 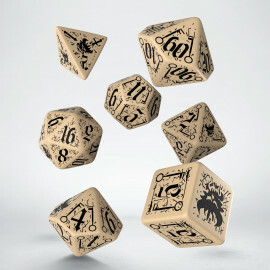 This is another set of our dice that fits all pirate adventures and scenarios. 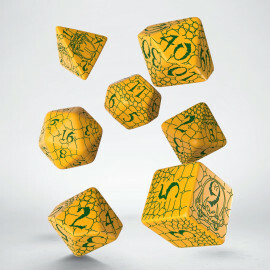 One more thing to point out, we keep our pirate dice in barrels of rum, before packing into tasteful boxes. They are, of course, thoroughly washed afterward, but the spirit of "the best pirate consolation" remains. It is not difficult. 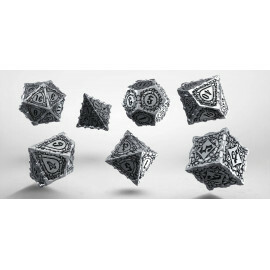 You have to throw the dice bravely and well (we recommend the Pathfinder Skull & ShacklesDice Set). Next thing you know, you will be a king of some Shackles and seven Golarion’s Seas. - Pirate enthronement usually takes place during storms, battles and using a large number of weapons (From Hell's Heart).